Simms newest piece in the guide series is the Mid Pant a perfect underwader bottom to add to your base layering system. Wick the moisture away with this Simms mid pant to stay toasty warm. 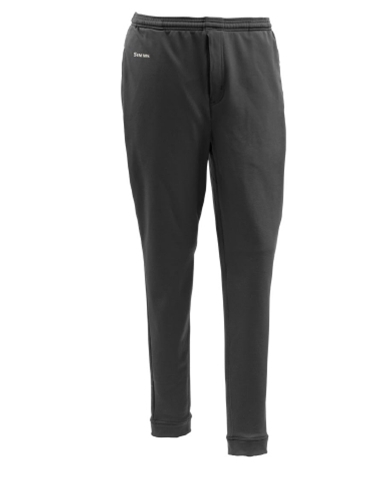 Rugged stretch fleece fabric features awesome breathability and wicking capabilities, while holding ample heat. Zippered back and side-seam pockets offer storage solutions for foraging fingers. And contoured cuffs for the ankle and a durable, anti-pill exterior make sliding in and out of waders a snag-free cinch. Another quality Simms product, great base layer pant for early and late season fishing. Pants kept me warm in cold water and seemed to wick moisture well while on the move. Tapered legs work great with waders, no fabric bunching. So far very happy with this purchase.